This striking apartment building was completed in 1999 and features an appealing modern design with plenty of classic touches that make it feel very homely. The building has a familiar feeling that residents are sure to love and the luxurious style of the large lobby is reflected by the private units that are just waiting to be enjoyed by discerning residents. 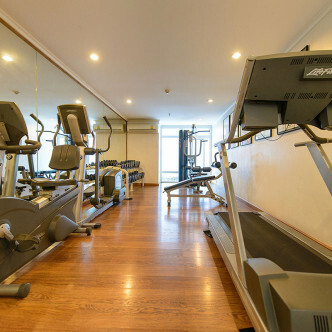 Wattana Suite boasts plenty of great facilities for residents to make use of. 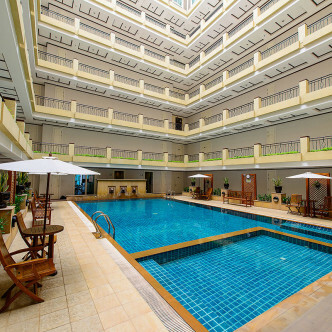 The central swimming pool is one of the most striking features here and is surrounded by a large patio area complete with sun loungers, while the fitness centre is supplied with a range of modern gym equipment. The building also features a sauna, a steam room and plenty of spaces where residents can meet to relax together. 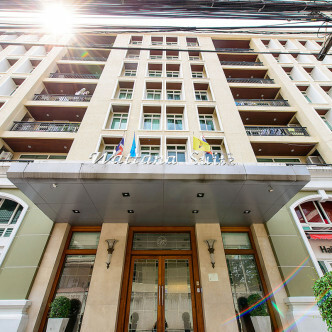 Both the prominent Asok BTS station and Sukhumvit MRT station are situated within easy walking distance of Wattana Suite, which makes this the perfect location for people who want to spend time getting to know Bangkok. HowHowever, people who are new to the Asok area will also find plenty of great amenities here, including large shopping centres like Terminal 21 and the large and lovely Benjasiri Park.